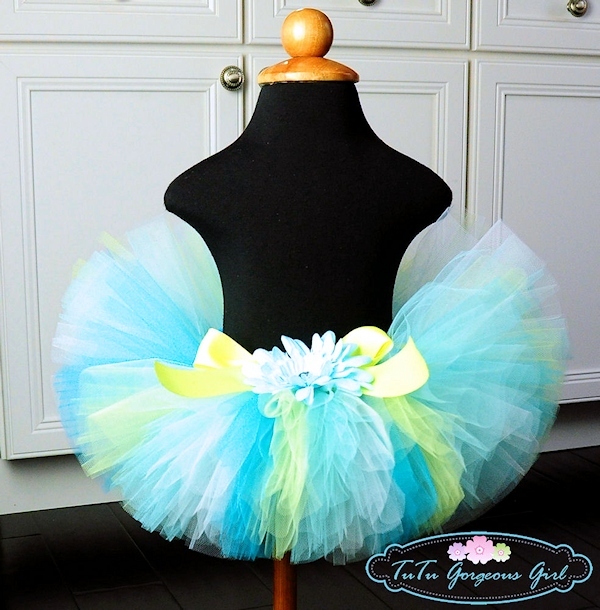 Blue and yellow summer beach tutu for baby, girls and women. 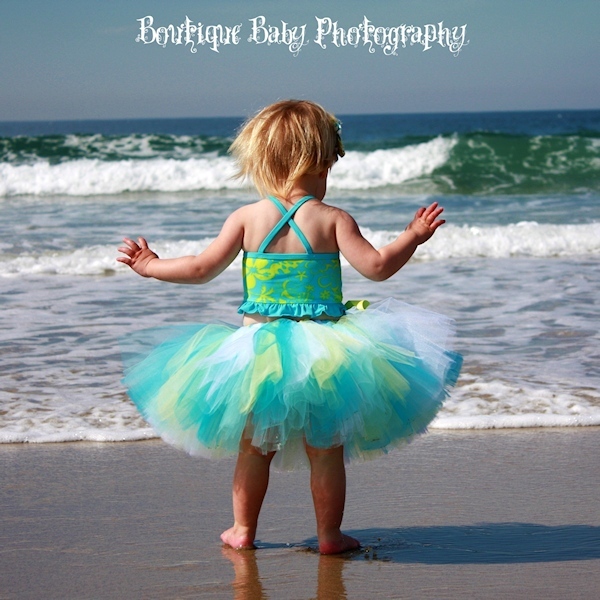 The Summer Breeze tutu is a beautiful choice for summer portraits or birthday. 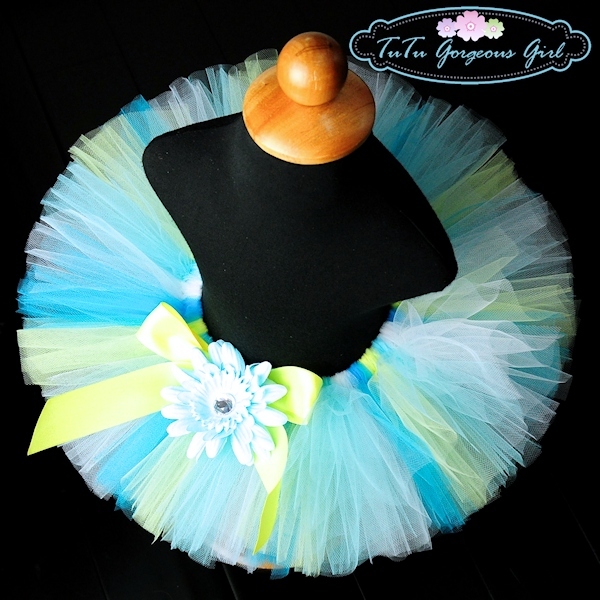 This tutu is made with white, turquoise, light blue and light yellow tulle. Tutu includes a satin bow. Flower clip and crochet headband can be added to your purchase below.